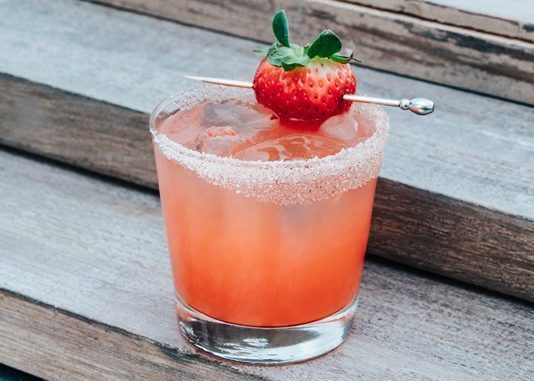 It’s summer and the strawberries are RIPE for the eating – and the cocktail-making. This spicy margarita hits the spot on a hot summer afternoon. Muddle strawberries in the bottom of a cocktail shaker. Add Cointreau, tequila, fresh lime juice and bitters and shake with ice. Strain over ice in a rocks glass and garnish with a strawberry. Optional – if you’re feeling extra fancy, mix 2 parts sugar and 1 part cinnamon together and apply it to the rim of the glass.